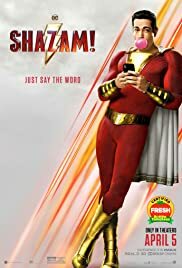 Shazam: [holds up the Eye of Sin] What's that? You say you'll give me everything I ever wanted? Super Hero Mary: Don't do it! 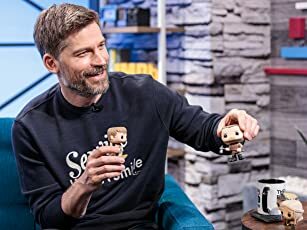 Shazam: Psych! Did you really think I was going to put a demon orb in my head? That's gross. Q: Why was this movie made this way? The future is bright for the DCEU with chapters like these! 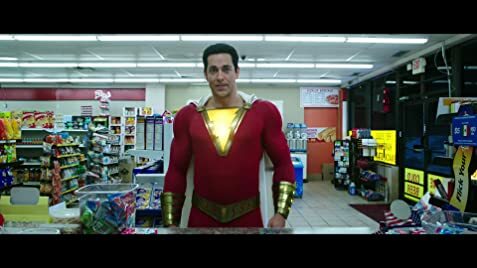 I got to see an early screening of Shazam! at my local theater, and boy did it not disappoint. It's not flawless, but the good outweighs the bad more often than not. With a bright story, boundless energy, and an irresistible sense of fun, this is certainly one of the best-if not the best-installment of the DCEU so far. Direction: I feel like David Samberg is the DCEU's Taika Waititi. He's this movie director that really isn't known for much past some horror, which made him an initially odd choice for this movie; a choice that paid off tremendously. He helps some light shine into this world, but doesn't underplay the action. His direction and coordination through framing helps us laugh and, in some cases, feel the punches. The action isn't jolty like the other DCEU installments and due to the bright vibrant colors, we really know what's happening, where it's happening, and who it's happening to. Well done. The writing was uneven, but definitely fun. It's a basic story that converts Billy Batson's origin into a modern-day retelling with some elements of Big in there. The humor is well-timed and consistently funny; a lot of meta jokes and inner humor help the story obtain its brighter feel. The relationships written in are heartfelt and the story itself has a lot of heart. One part that causes a rift is the central character of Billy. His two versions, between the adult and the kid, seem to be two completely different people. It's an inconsistency that's fine being just about the only part (besides typical villain problems) that bugs you about the writing. 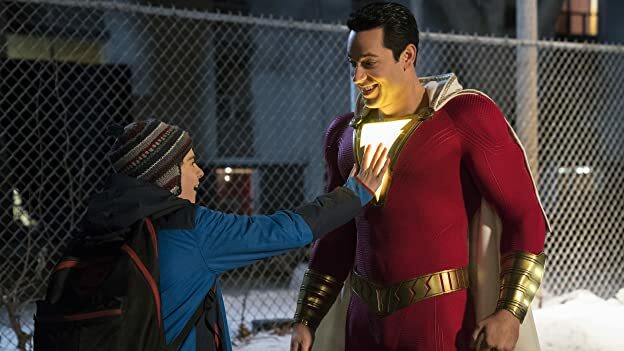 Performances: I swear, Zachary Levi was born to play Shazam! He carries childlike enthusiasm and a heart in effortlessly. He oozes charisma and really... I won't be able to say it enough so here it is: Zachary Levi is perfection. The rest... Kid Billy was somewhat toned down but still played quite nicely. Mark Strong played a menacing villain. The child actors, especially Jack Dylan Fraiser (Grazer? I'm sorry I don't remember off the top of my head), were VERY good. Child actors really are improving. Any other supporting performance was played nicely and everyone knew who the real star of the movie was: I'm sorry, I'm gonna keep coming back to this: Zachary Levi is a national treasure. What else... music was nice and heartfelt, I talked about the action sequences... every other part of this film is mainly there to add to Billy's story and I like it. The world is undeniably fun and we're not really pulled out of it. 314 of 457 people found this review helpful. Was this review helpful to you?